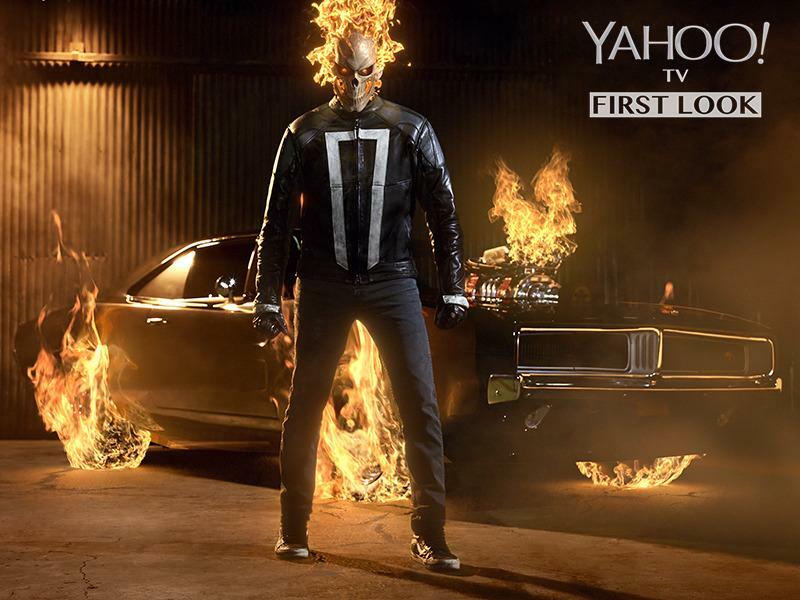 Ol’ Flame Head makes the leap from movies to the small screen this fall when Gabriel Luna brings the most recent version of Ghost Rider to Marvel’s Agents of S.H.I.E.L.D. Instead of a motorcycle (or a horse like the original original incarnation), Robbie Reyes drives a flaming 1969 Dodge Charger — and we’ve got an exclusive look at the demon and his car in all their fiery glory. Ghost Rider “opens up a whole different kind of storytelling for us,” says S.H.I.E.L.D. executive producer Jeff Bell. Not only is it the most well-known Marvel character they’ve ever had on the show, but it’s someone whose “origins present themselves as supernatural.” That’s not just a leap for the show, which exists mostly in a world of “spies and agents”; it’s a leap for the entire Marvel Cinematic Universe. Before we see Doctor Strange on the big screen in November, Ghost Rider will be laying out the rules for mysticism in the MCU. Agents of S.H.I.E.L.D. premieres Sept. 20 at its new time, 10 p.m., on ABC.